It seems like social media is everywhere, and every marketer is clamoring to get in the game. And it’s no surprise why: the time most global consumers spend on social media has grown over 250% in just the past two years. Therefore it is becoming more and more evident that companies must engage with individuals on these multiple channels. The difficulty now is that one company may have to maintain and engage its audience on three, four, five, or even more social networks at once. This can be a daunting task if you aren’t a so-called social media expert. But that doesn’t mean you simply ignore social media. According to Gartner, the forecast for global social media revenue will be 29 billion by 2015. Clearly there’s value to be present, and effectively using, these platforms. Aside from having a great engagement with its businesses, Square does a wonderful job featuring its new products and businesses using their readers. 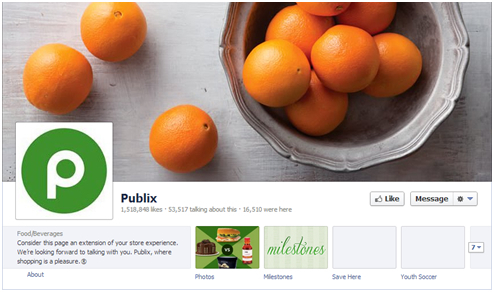 With a hefty 17 million likes, it’s no secret that Amazon has a popular Facebook page. One nice thing about Amazon is that they love to engage their fans with interesting questions and visual content that link to relevant products on their website. One thing you’ll notice about all of these examples is that they each have their customized profile images and cover photos. 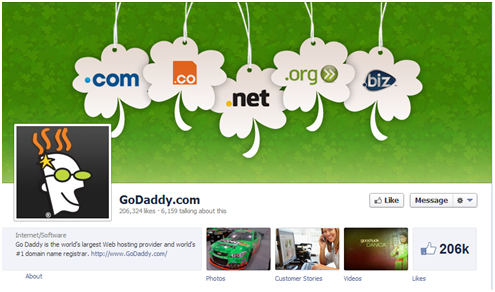 GoDaddy has a nicely branded set of images that are directed connected with their company name. Who doesn’t love a great looking electric car? Tesla has a fun and engaging routine that keeps its fans entertained. The Friday Photo features a nice image of a Tesla vehicle with a variety of drivers. Last Friday was a baby called little Evie and the image asked for a caption from its fans. I personally love the cartoonish images that Dropbox uses to represent its brand. Aside from posting informative videos, Dropbox has also posted links to its APIs and other helpful services that fans can utilize. Jawbone’s latest project has been its wearable fitness tracker known as the Up. To keep its fans up-to-date and engaged, Jawbone has been posting images and videos of the Up in action. Companies focused on selling a product should always remember to share that product out in the “wild”. Another heavy hitter on Facebook, with 36 million likes! 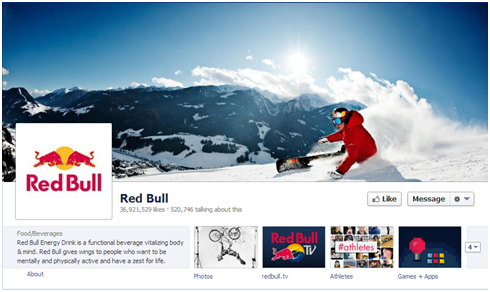 Red Bull uses its Facebook to truly sell the lifestyle. Everything from the cover photo, images, videos, and links all embody the Red Bull lifestyle. Chipotle starts off by calling for “likes” right in its cover photo. Once you jump into the actual content, it shares some pretty fun images and helpful links like a TED Talk about eating healthy. I really love how Google animates and presents its assortment of products and services. They share a variety of links and create discussion topics that draw in fans. Google also posts statuses and links in a variety of languages to engage fans from around the world. The cover photo, profile image, and thumbnails in the timeline are all uniform. They post images and links about holidays, fun products, and current events to keep fans engaged with an assortment of different content. 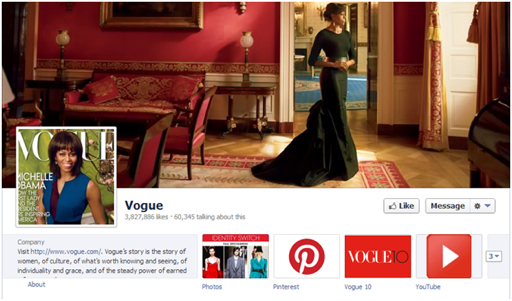 The first thing you’ll notice is the awesome cover photo and matching logo. Visa posts everything from great discounts to pictures of cats. No company is above posting images of cats. Trust us. Including your website in the cover photo is an effective way to draw some attention to your site and bring in some traffic. CURE International also describes exactly what the organization does in the first part of the screen. Nothing like a tasty frozen beverage to draw my attention. Good ol’ MccyD’s has a tendency to post appetizing images of their menu items along with some pretty funny commercials. It’s hard not to “like” anything with Micky Mouse or Bambi stamped on it. Disney is smart in capitalizing on our childhood memories and creating some new ones by sharing its latest animated shorts. Love the stuff. Love the branding. Nutella has some great links in its timeline that set it apart from some other brands. They have the “Around the world” and “Nutiquette” boxes that draw some intrigue from its fans. That is a seriously awesome cover image. It really makes a difference when a company goes through the trouble to actually using a great cover photo. You would be surprised with the amount of companies that use some stock image or an enlarged logo to fill that prime piece of visual real estate. A pool full of giant Skittles and a penguin is always going to get my attention. Aside from the creative cover image, Skittles includes fun games and photos featuring those bright colors that we have all come to love. With over a quarter million people talking about Converse on Facebook, you’ve got to wonder what they are all talking about! Converse has done a great job of creating some social campaigns that feature their products in everyday lives, sent in by real fans. The images show off nice styles and some interesting artwork. YouTube might be a bit self explanatory. People love videos, especially videos that they can share on Facebook. With the majority of viral videos shared on Facebook coming in from YouTube, you can figure out why they're rocking out on this social network. This is particularly true about cheesecake. With The Cheescake Factory, they keep fans drawn in by offering gift cards, free cheesecake, and all other cheesecakes related goodies that keep us coming back for more. Pictures and Polls! Publix is doing a great job featuring attractive images of their stores and its products as well as keeping fans engaged with interesting poll questions. Designed for a community of entrepreneurs and startup investors, Kickstarter keeps its fans engaged with news about new projects and opportunities to invest in. If there’s one color we love, it’s orange. SoundCloud has creative and attractive cover photo. They post information about new tracks along with some fun visual content its fans can share. I can’t imagine it's easy making a legal services company “fun” on Facebook, but LegalZoom seems to do it pretty well. They feature a nice photo set called “today in history” where they highlight an interesting fact about that particular day in history. Models, fancy clothes, and fashion shows. Burberry packs its Facebook page with great photos of its new collections and videos to keep their fans up-todate with the latest in fashion. 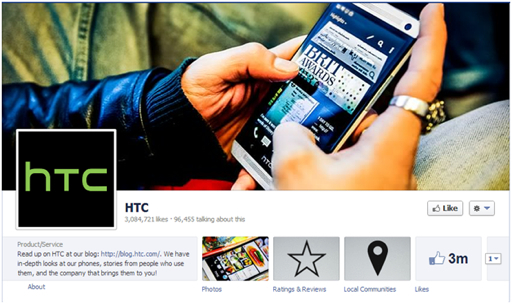 With almost half a million followers, HTC does a great job at keeping up with replies, retweets, and hash-tagging. The background features a nice set of images that focus on their latest product. We really enjoy the background image for this Twitter account. The New Yorker shares a variety of quotes, articles, and media that its followers can easily consume and share. One format that Go Media shares well is videos. They post often and interact well with their followers. The collage of images in the background is a great addition to the overall look of the Twitter page. Rolling Stone has a very effective way of including links in almost every single tweet they send. This will always give followers something to engage in. Not only does Quiyk deliver to a very particular audience of Quiddich fans, they do so in a very effective way. The links shown off in their background image make it much easier for followers to check out their other networks. They focus well on including links, tagging other users, and relying on hashtags. MAC cosmetics also feature images and videos of their products. On top of that, they have a nice consistency with their logo and background image. If they weren’t rocking it before, they should be now. After the recent hacking incident, BK nabbed itself over 10k new followers. Aside from the epic password failure, they do a good job of tweeting pretty frequently and actively engaging its followers. Virgin is pushing a new lifestyle among travelers. They’ve been working pretty hard at making some great looking content and providing money saving promos to all of their followers. Chocolate tends to some magical powers when it comes to social media. People love to talk about it, share it, and post pictures of it. Lindt definitely benefits from this internet love affair with chocolate. Sprite posts very frequently and has a great eye for branding. 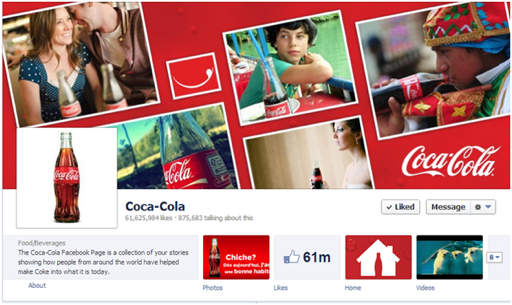 The background image and profile images are all in tune with the overall look of Sprite. Beyonce! Enough said. Background image aside, Vogue has a nice consistent rhythm for their tweets that give its followers a nice stream of content. The success of this page is due to the fact that it is tweeted by Michael Kors, the individual, and not the brand itself. The background image and profile images all embody the essence of SEOmoz. The happy robot is so well connected to the brand, and its followers know it. SEOmoz does a great job of staying engaged and active with its followers. They post very frequently and always keep their followers up-to-date on new articles and news. This could explain the staggering 7.6 million follower count. The company has a great report with its followers. Notice the number of links, mentions, and retweets that populate their Twitter stream. Product placement is key when it comes to taking advantage of screen real estate. Dunkin Donuts uses this great space to show off its k-cup selections. Aside from that, they are actively retweeting, maintaining, and sharing helpful links and tweets. The background image is something great to take note of. When looking into their actual activity, Urban Outfitters does an effective job at including loads of links in all of their tweets. This band actually focused on a very clean look and feel to their Twitter account. 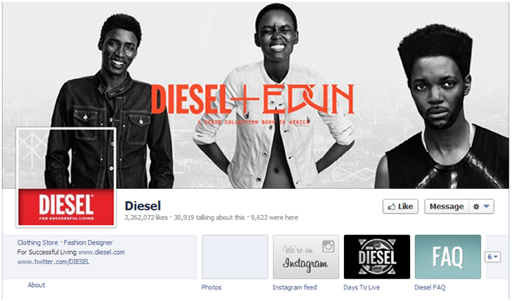 They keep their feed full of images and videos to keep their followers engaged with the brand. The marketing agency uses their Twitter feed to provide its followers with an assortment of helpful articles, ebooks, links, and quotes that are easily shared and consumed. The love of chocolate is no secret. Hershey’s Kisses fill their Twitter feed with images of their adorable chocolate treats and keeps their followers hungry with great recipes to share. With over four million followers, Samsung Mobile US stays pretty consistent with its tweets. It uses a variety of videos, links, and images to keep things fresh. Almost 200,000 tweets have come out of The Huffington Post. This is definitely a strategy that works to keep your account floating around Twitter streams. With many nonprofits lacking the time and resources to maintain social networks, this organization still has the branding and design aspects down pack. Keeping your followers interested is key to maintaining a strong social network. Diningin does this by posting helpful articles and links related to food that followers can eat up. Showing off their latest collections and some digital art galleries, Diesel definitely has put some time into the 45 boards it created for its followers. Breaking its articles into easily viewable categories is welcomed set up for the WSJ Pinterest account. Followers can browse their way through tech, arts, travel, and more. With over four million followers, Nordstrom has created 61 boards to focus on specific designers, seasons, and fashion trends. The images are easy to Repin and share. Sharing deals, fashion, and just pretty images can do great things for your Pinterest account. Gilt pin everything from food to fashion while keeping its followers on the up and up with the latest sales from their site. Adobe always does a great job at showing off the power of their design tools. This banner is no different. The company keeps the public informed on new products, events, and updates about Adobe. Conclusion. According to PWC, 60% of consumers use social media to follow, discover, and give feedback on brands and retailers. Use these 55 examples of companies rocking social media to find out what works best for your own company, and be the social business these consumers are following. Good luck! Tari is a Marketing Manager and Internet Strategist at Ebranbz . This company specializes in Reseller SEO, pay per click management, social media optimization and affiliate management. He enjoys writing about SEO, social media, web development and IT technologies. He will supports to reseller SEO services. 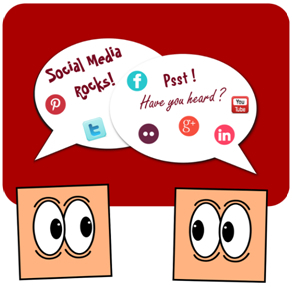 Follow Tari and Ebrandz on Google+, Pinterest and Twitter to learn more! Awesome tips! Thank you for posting this!